How will you travel through the Unknown? Here I am again being hit with the nostalgia as I get closer and closer to turning 20. Just like in my last article on the 5 reasons why you should watch "Steven Universe," I am back yet again for another cartoon recommendation! However, unlike "Steven Universe" and its showtime year-round, this time it's seasonal. Regularly aired cartoons tend to have special episodes around holidays like Halloween, Thanksgiving, and Christmas where they follow the specific theme for each holiday. However, just like the changing of the seasons, even cartoons can be seasonal where they're only released and aired at a certain point in the year. Thankfully Cartoon Network was able to produce a show of that kind. Released on November 3rd, 2014 until November 7th, 2014 as a 5-day marathon, Cartoon Network aired its first ever mini-series that was ten episodes long named "Over The Garden Wall" created by Patrick McHale. He is also known for his work in Cartoon Network shows "The Misadventures of Flapjack" and also "Adventure Time." 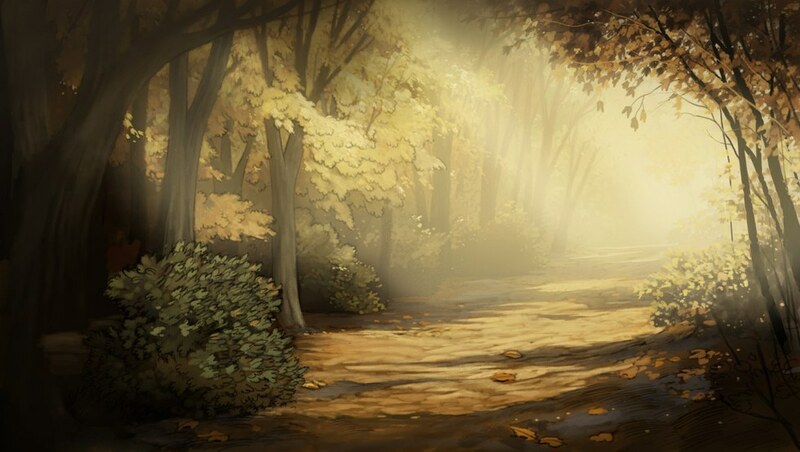 The plot of the show seems rather simple at first; it revolves around two half-brothers named Wirt and Greg who get lost in a forest referred to as the Unknown. It doesn't necessarily focus on how or why they've both found themselves in this forest, but they learn a handful of lessons about growing up in a world so unfamiliar to their own. In those ten episodes, they travel through the Unknown and try to find their way back home. However, the boys encounter many supernatural occurrences along the way and find themselves in a bigger situation than they would have ever imagined. It's up to them to do what they can to save each other from the Beast that's threatening their relationship. It's a big mix of the supernatural, uncanny, a coming-of-age narrative, and of course how to deal with and help other people during situations in which they need to offer their aid. This show, being heavily influenced by European folklore and something out of the Grim Brother's stories, screams Halloween and autumn to me. However, its eerie and horror-like aesthetic isn't the only thing that makes this show worthwhile to watch. 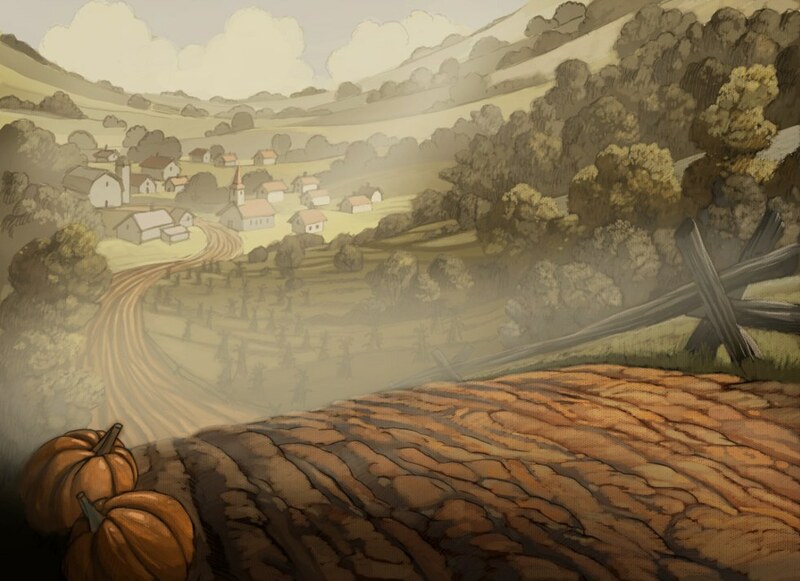 With Halloween among us and the season becoming colder and, for most, sadder to an extent, here are five reasons why you should watch "Over The Garden Wall" to help you, perhaps, feel like you're at home as you watch. Warning: this piece contains slight spoilers, especially since it's such a short series, however I won't reveal everything. Regardless, you have been warned from this point on! 1. The music is beautiful. Yes, just like in "Steven Universe," I am in love with the music from this show! This time, however, it's a little different. The music isn't so much songs relating to the characters conveying feelings or even specific lessons (except for maybe one), but it's just orchestrated so well I can't help but remember my own days in high school orchestra. All the music is composed by Patrick McHale himself along with vocals by Jack Jones and instrumentals by the gypsy-folk band The Petrojvic Blasting Company. Each episode has its own unique theme and plot that the music adds onto it and essentially brings it to life. The song above is one of my favorites from the series that resonates with the whole show in general. In fact, it feels like a completely different era of music and the first time I heard it, I felt like I was in another world. 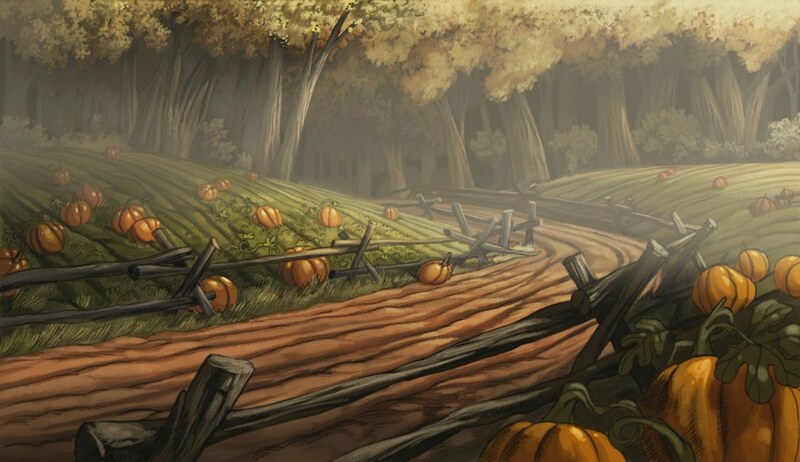 Doesn't it also feel like autumn to you? 2. Every character looks like they're from a different time period. It might not seem like something really important or significant, but I've always found it interesting how different the characters in this show are compared to Wirt and Greg. While the brothers come from what we would consider modern times, everyone else seems to be stuck in their own little world, or as if they're a part of an earlier point in history. I find this interesting because it adds more mystery to what exactly the Unknown is. No one really knows, but these people provide stories and adventure. Here's a few more examples! 3. The relationship between the two brothers is incredibly important. Considering the series revolves around them in the first places, it's no surprise that the relationship between Wirt and Greg is really emphasized. From the beginning we can tell and feel Wirt's discontent over his younger half-brother Greg. It's even revealed within the show how irritated Wirt is towards his step-father and Greg to begin with. Since Greg is just a kid, his actions and behavior towards Wirt is that of a younger sibling trying to get along with an older one. He's innocent, naive, and just wants to do the right thing. Wirt is incredibly serious and is focused on getting them home no matter what. In the end, it's Wirt's discontent towards Greg that ultimately brings their downfall and gets them caught in the Beast's trap. However, working through their differences and realizing how much they need and love each other, they work together and find something that they can actually call home. 4. The artwork is beautiful. 5. The humor seems so out of place. The only reason why I say it seems so out of place is because of how dark the show is within the context of the plot. The humor in this show is cleverly done with it's odd wit and charm, but there's something about it that seems a little off if you ask me. It's not that it's bad nor is the humor not funny, but it does give the show some life and brightness within the Unknown. It reminds me that, especially with Greg, these characters are still children who are lost. They've gotta keep their morale up somehow, right? With all said and done, this show is definitely something to watch, even in one sitting with Halloween around the corner. It's beautifully produced and has the right amounts of spooky, creepy, but warm feelings in one. If you want to watch this miniseries, the episodes are readily available to watch practically anywhere online, but look out for next month on Cartoon Network when they air it again as they did last year! And who knows, maybe you'll also find yourself traveling through the Unknown.